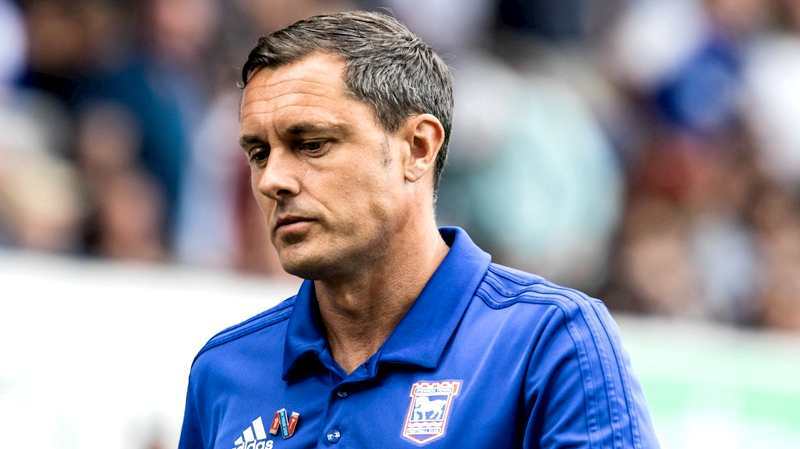 Is Championship too hard for the Ipswich Town manager Paul Hurst? Every football fan got excited when Paul Hurst was appointed as Ipswich Town new manager. He just had an excellent season with Shrewsbury Town in League One where he almost got promoted, but he lost against Rotherham in play-offs final. Ipswich had a great pre-season, they seemed confident and ready to step up their game and fight for something more than a midtable finish this season. Then the season started and something just wasn’t right. They’ve only got three points in first six games, they haven’t won a single game yet and if there wasn’t for Reading they would’ve been last in Championship. After such a bad start, one have to ask, is Championship too hard for Paul Hurst? Did Paul Hurst made the right transfers? Before we start talking about his style of play and team’s performance so far, we have to look back and see the transfers that Paul Hurst made this summer. Doing the business the way that Paul Hurst did is always a big risk, it’s not only that he brought a bunch of new players to the team, but these are not proven Championship players; these are big prospects that came from League One and League Two clubs. He brought Ellis Harrison from Bristol Rovers, Gwion Edwards from Peterborough, Jon Nolan and Aristote Nsiala from his former club Shrewsbury and Janoi Donacien and Kayden Jackson from Accrington Stanley. These are all starters, and even if they haven’t came from League One and League Two clubs, it would still take time for team with so much changes to start winning. Attack or defence – where is the problem? Although Ipswich is conceding a lot, their biggest problem so far was their attack. After losing their key player, Martyn Waghorn, the blues had to rely on their new signings to create chances and score, but they still don’t have enough experience in Championship. Since the beginning of the season, Paul Hurst was changing formations from 4-3-3, 4-2-3-1 to 4-1-4-1 and 4-4-2. None of those gave any result as Ipswich manager is still changing line-ups and formations. Paul Hurst saw that it will take time for new signings to contribute and he started looking for more experienced players. They’ve got Jonathan Walters on loan from Burnley and they are hoping to sign former West Ham defender James Collins who departed the club earlier this summer. But they still haven’t got a good replacement for Martyn Waghorn and that is certainly their biggest problem this season. Can youngsters help Ipswich to improve? One of the club’s biggest prospects is very passionate young midfielder Andre Dozzell. He played for Ipswich in pre-season and managed to impress both fans and manager Paul Hurst. The problem is that he missed the whole last season with knee injury and he is still not fit and strong enough to play in Championship, but once he’s fit, he can be a key player for Ipswich and improve their performance a lot. The player is sometimes frustrated that he hasn’t played for the first team yet this season, but the manager Paul Hurst spoke to the media about him. Should fans keep believe in Paul Hurst? Yes, Paul Hurst hasn’t made a good result yet, but the performance that his team has been showing so far has been incredible. They look confident and motivated, they don’t give up and they work hard every game in order to get a good result. What Paul Hurst is looking to achieve with Ipswich Town certainly takes time, but is Championship too hard for him? I wouldn’t say so. With hard work, result will certainly came, and this is still a young squad that needs time to settle down and show the result in Championship. The board put their trust in Paul Hurst to make the changes, bring his players and now the fans need to keep believing in him before the result comes and they hit their winning run. Although they had a rough start, people should still be optimistic about Paul Hurst and Ipswich Town this season.